What forms of payment are accepted in your shop? You may pay via Paypal by clicking Checkout in your shopping cart. Once there, you can use your paypal account to comeplete your purchase or insert a credit card number instead. Please take note, paying with an e-check delays the delivery of your product until it has cleared with Paypal. I just made a purchase, but now the site is telling me I have to login? Is this correct? I just upgraded to Photoshop CS/CC, will my Elements actions still work? Congratulations on your new upgrade! Yes, your Elements actions will still work in CS/CC! However, they were designed specifically for Elements so they won’t be as efficient in your new program as the CS/CC version would be. But not to worry, all of my Elements action sets come with the CS/CC version included so you may already be set to go! If, however, you made your purchase prior to 2013, yours may not have come with the CS/CC version in which case you can just shoot me an email at morgan@morganburks.com and I will would happy to send you the CS/CC version free of charge! When I try to open my overlays in Photoshop, it tells me it does not recognize the file. What do I do? You will need to find the file on your computer and unzip it before you will be able to use the products in Photoshop. In Windows, you can usually right-click on the zipped file and hit ‘Extract All’ – this will unzip the file and allow you to use the products within. On a Mac, you can usually double-click the zipped file and it will automatically extract for you. If it doesn’t, you can right-click on the zipped file and select Open With > Archive Utility (default). If your computer is unable to extract a file, you can do a google search for a free program to do it for you. I like using 7-Zip, but there are many others you can find. Unfortunately, no. Due to the digital nature of the products in my shop, no refunds are provided. I do, however, strive for 100% customer satisfaction so if you have any problems or questions please do not hesitate to contact me so that I can make it right! 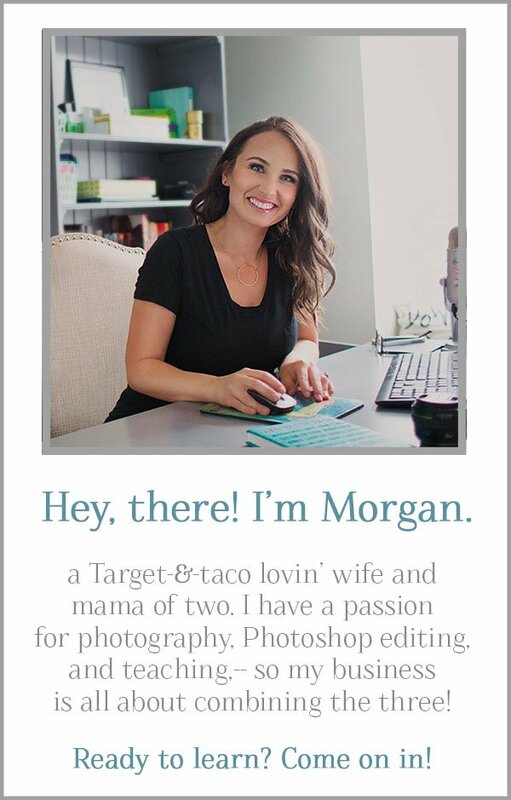 You can email me at morgan@morganburks.com with any concerns or feedback. Can I share my products with a friend? sharing, or trading is strictly prohibited. Do you have any products that work in Photoshop Elements? Absolutely! We have Overlays, Textures, and many different Action sets that are Elements-compatible. Be sure to read the full description of a product before buying to double check that it works with Elements! 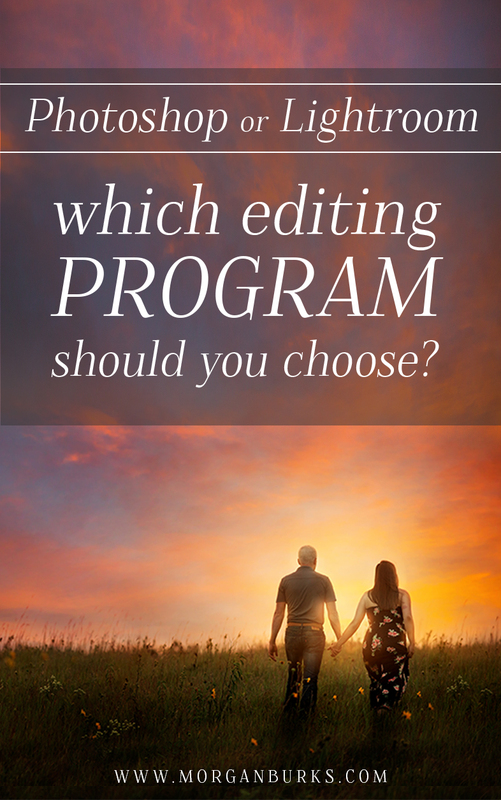 Do you offer Photoshop training or editing classes? I’ve got a bunch of free Photoshop tutorials here on the site, and I also created an in-depth online course called The Photoshop Fanatic. The first lesson starts with a tour of Photoshop, where I explain how the various tools and filters work and where to find them. Throughout the rest of the course, we build on that base knowledge, demonstrating how to put those tools to use to edit images from start to finish. If you’d like to see if this course if right for you, you can visit the Online Courses page for more information. You’ll also find a few other course options there as well. If I want to purchase your products, what software do I need to have in order to use them? My Lightroom Presets are compatible with LR3 and up. Some sets may be compatible only with LR5 and up, so please be sure to read the full description of a product before making a purchase. Are your actions compatible with Mac? Yes, all of our products are compatible with both PC and Mac. What is the difference between actions, overlays, textures, and presets? –Actions are a recorded set of editing steps that you “play” in Photoshop. Once you hit play, it follows the steps of the edit and adds the effects to your image. Actions are not compatible with Lightroom. 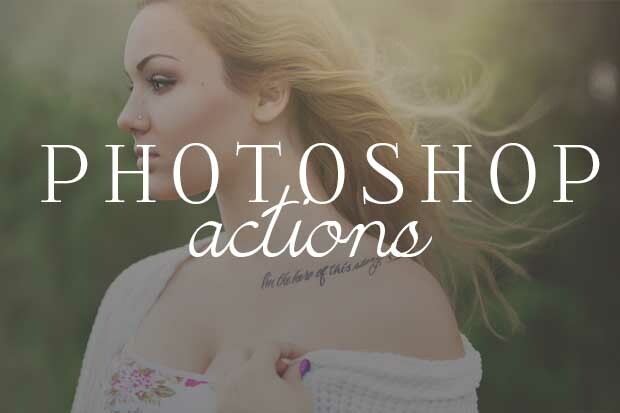 You can read more about getting started with Photoshop Actions, here. 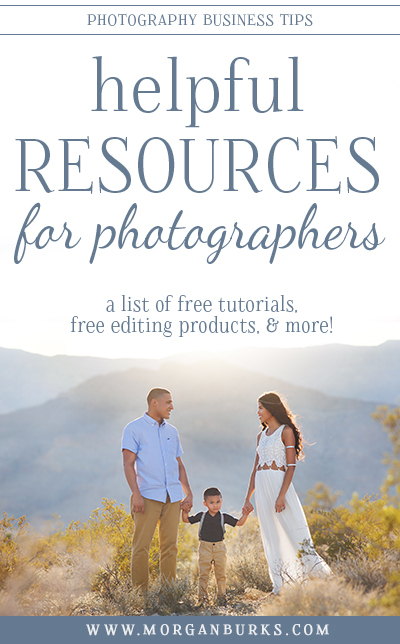 –Presets are a recorded set of editing steps for use only in Lightroom. You can read more about getting started with Lightroom Presets, here. 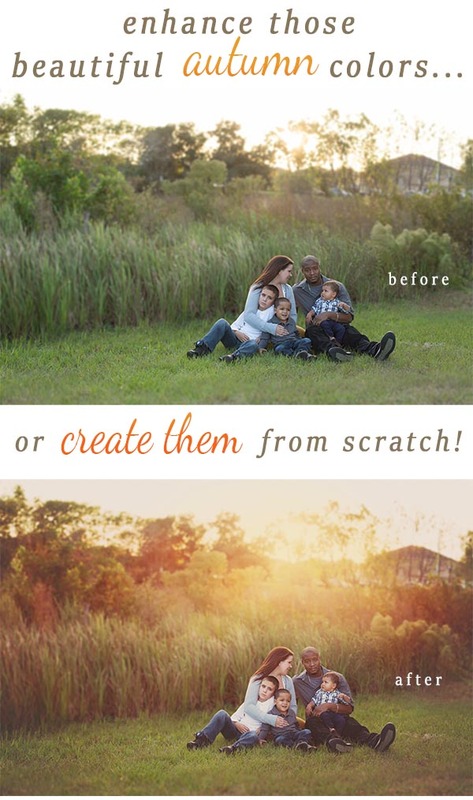 –Textures are a patterned image that you drag and drop onto the photo you are editing. You can adjust the blend mode and opacity and it adds the patterned effect to your image. Textures are not compatible with Lightroom. You can learn more about how to apply textures, here. –Overlays are similar to textures, only they aren’t “patterned” with a texture-like design, and are sometimes transparent. They can be dragged and dropped onto the image you are editing, and you can adjust the Blend Mode and opacity for different effects. Overlays can come in many different designs. 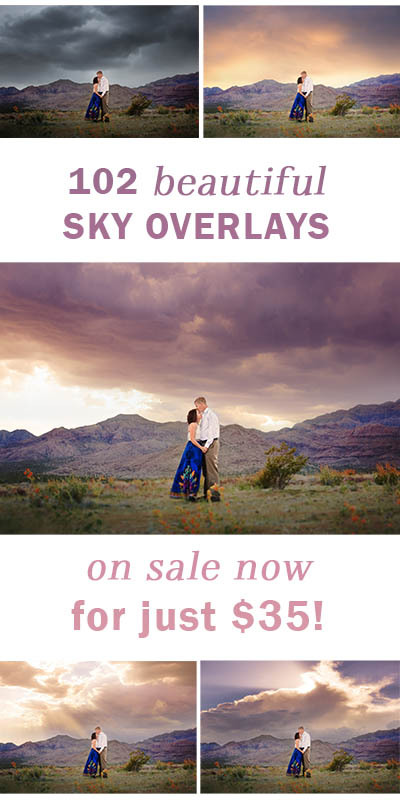 There are Sky Overlays (which are not transparent), there are Overlays that have Sun Flares or other effects, and some that may be solidly-colored or swirled. Overlays are not compatible with Lightroom. 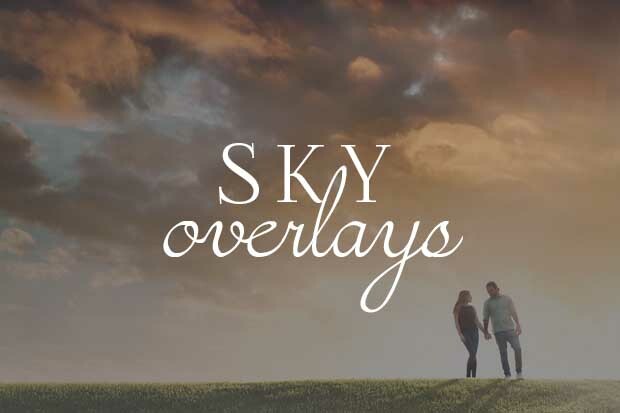 You can read more about getting started with Sky Overlays, here. To learn more about how to apply regular overlays, click here. You can visit our Product Help page for complete written installation instructions. You may also visit our Product Video Tutorials page for help on applying your new products. What do I do if the download link says I’ve reached my download limit and I haven’t been able to access the product yet? I sure do! You can find these videos on the Product Video Tutorials page. If you would enjoy some other tutorials as well, you can visit the Photoshop Video Tutorials page and you can also follow us on Facebook where I share a new Photoshop Tip every ‘Tutorial Tuesday’! How do I know which products work with my software version? Yes! Certain products may go on sale at various times. Be sure to like us on facebook or sign up for our email list to be the first to know of any sales or discounts! I just made a purchase, how do I access my products? All products are digital and can be accessed at any time after purchase by signing into the site using the account you created at checkout. The products will be located on your Account page after you log in. I have tried logging in and even resetting my password, but I still can’t access my account. Please help! If this doesn’t seem to help and you still are not able to access your account, please send me an email at morgan@morganburks.com and I will be happy to get you all squared away!